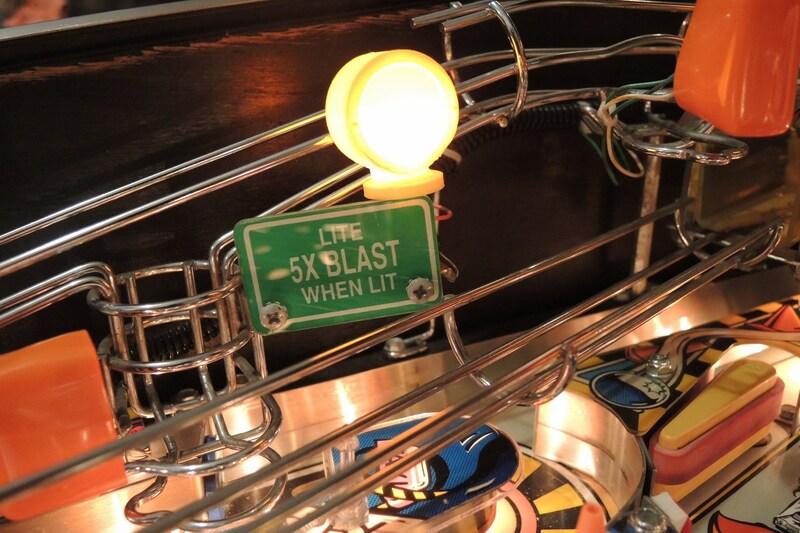 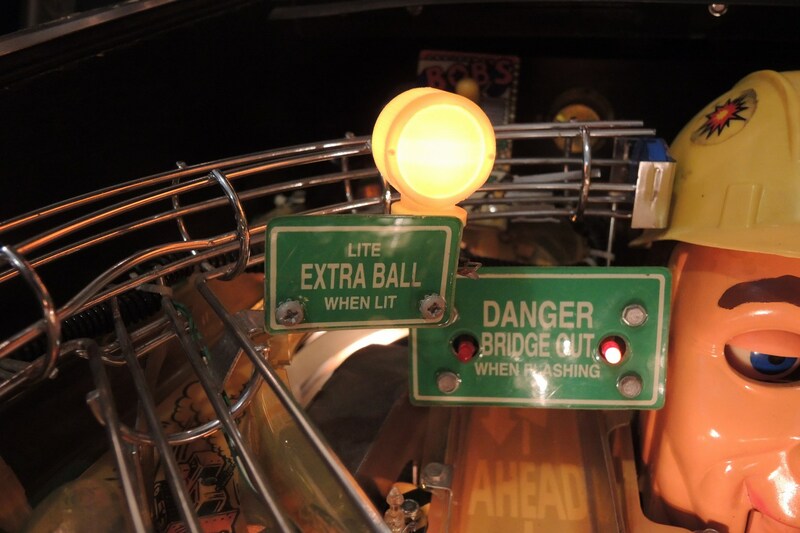 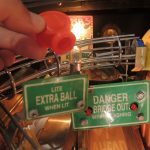 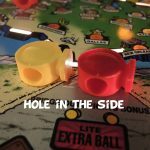 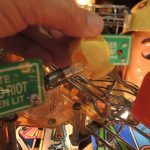 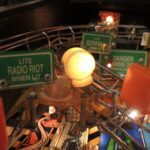 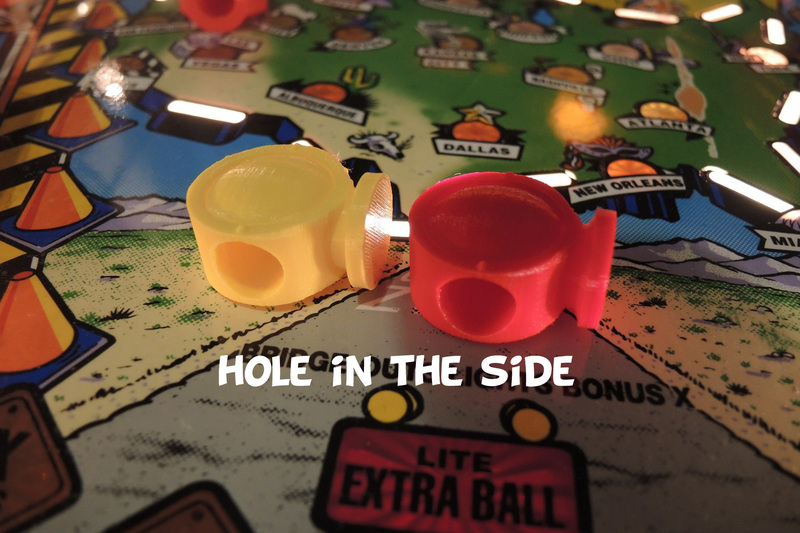 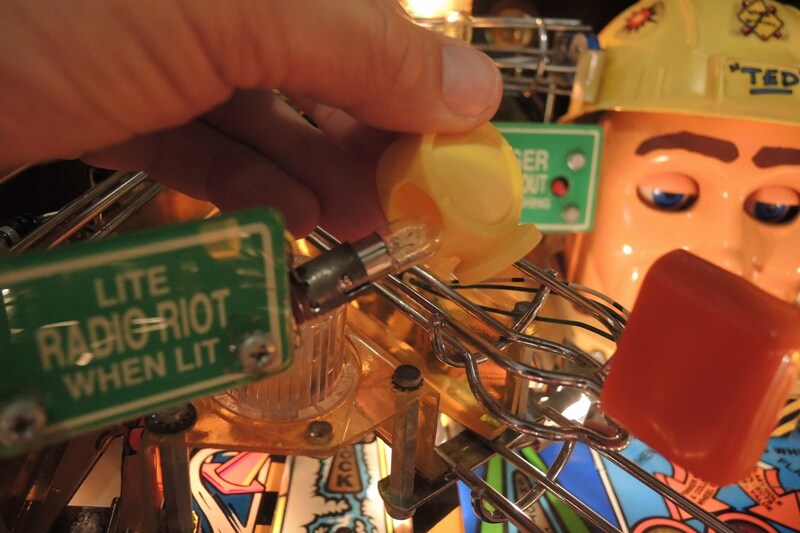 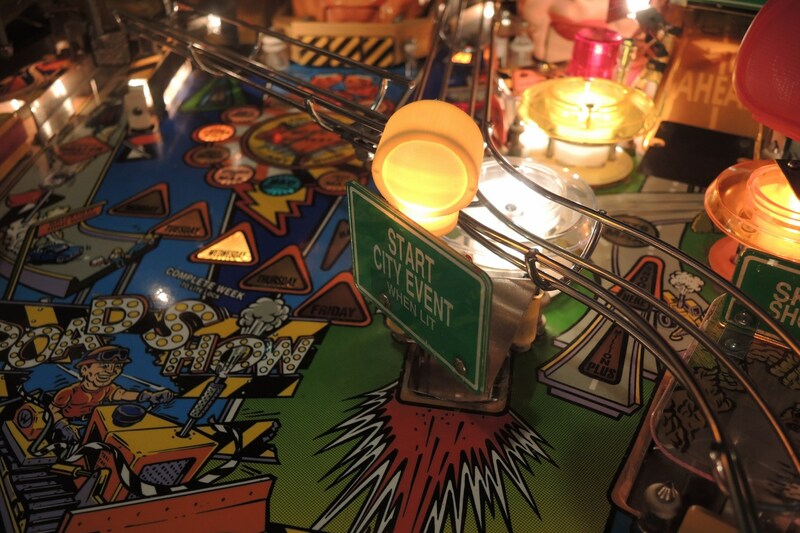 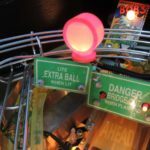 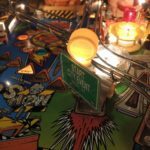 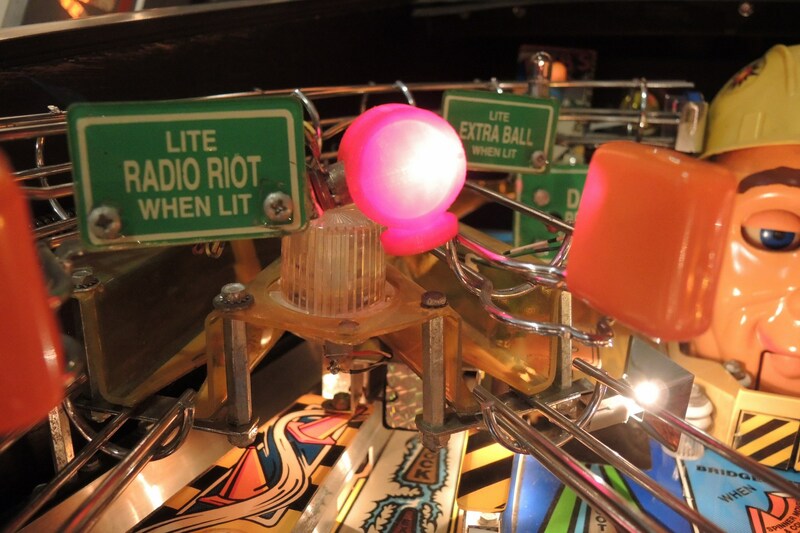 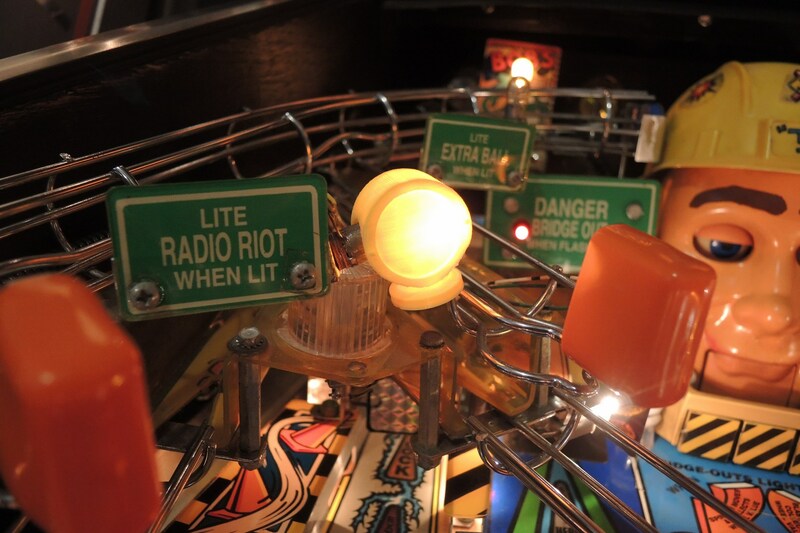 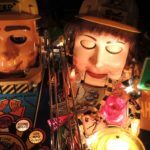 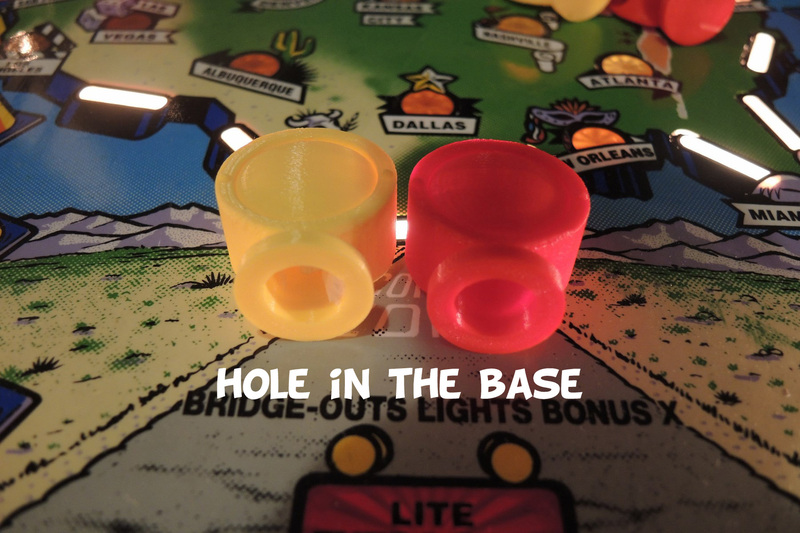 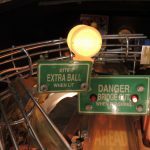 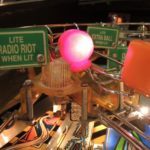 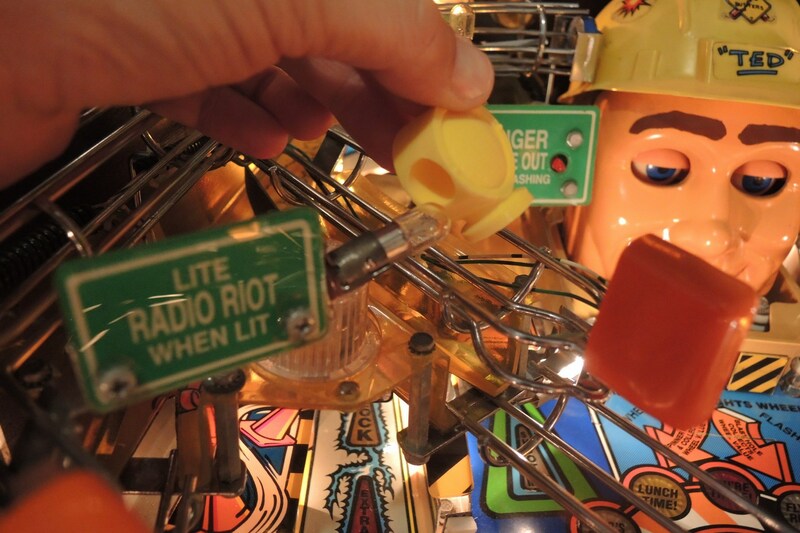 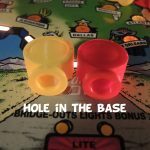 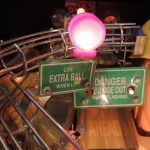 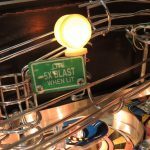 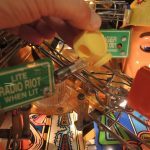 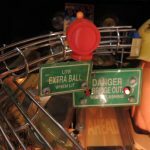 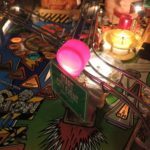 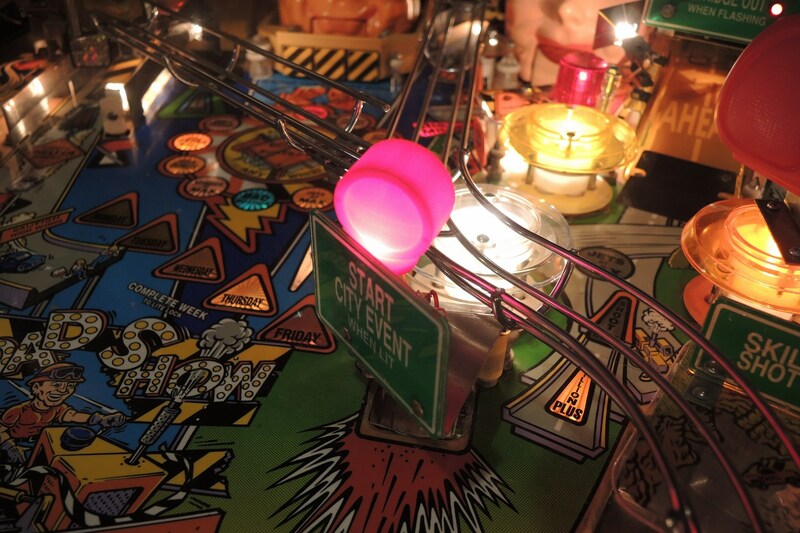 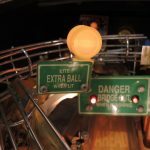 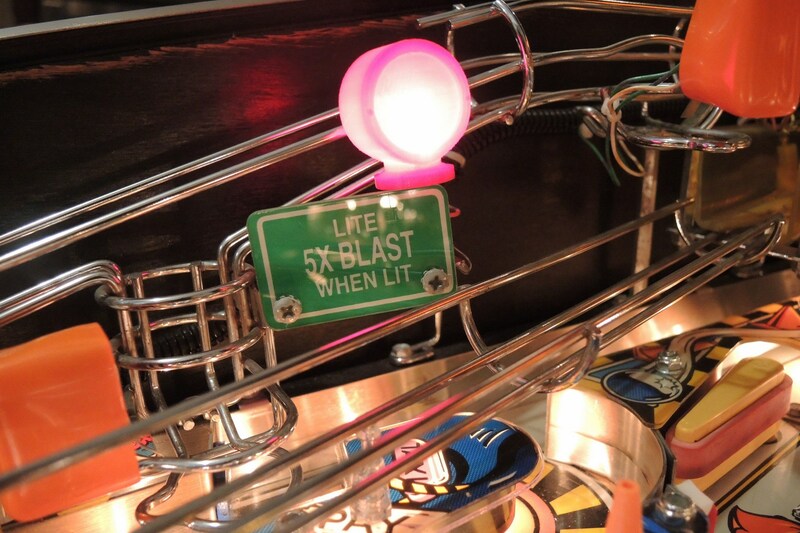 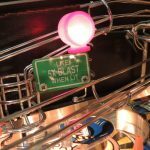 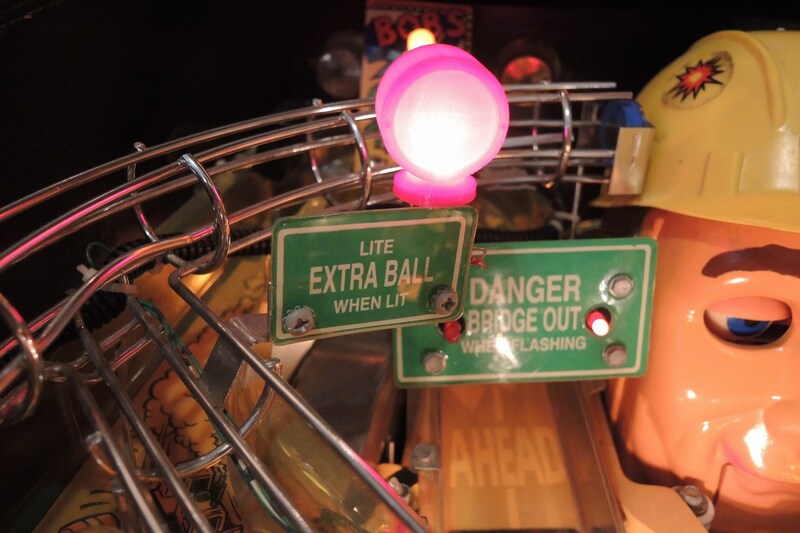 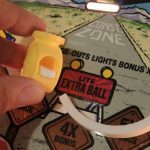 New Must Have Mod for your Red & Ted’s RoadShow Pinball. 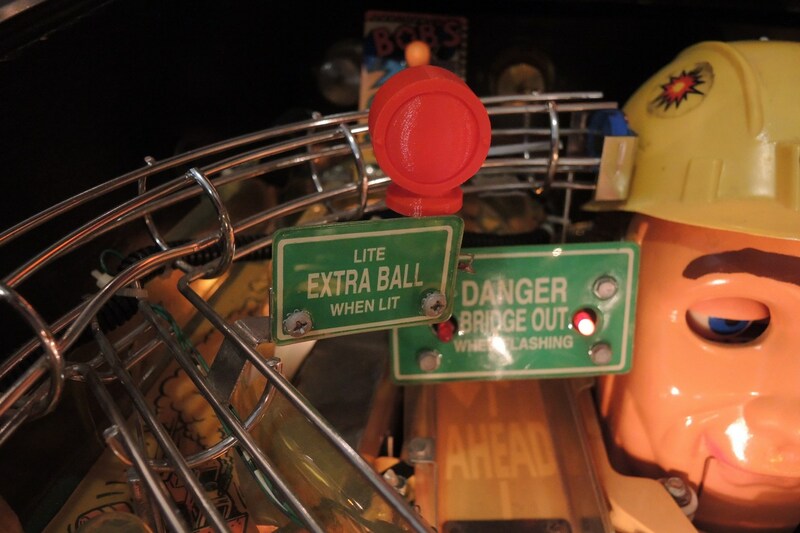 Road work light flashing caution sign to put in light bulbs: lite Extra Ball, lite 5x Blast, Start City Event and lite Radio Riot. 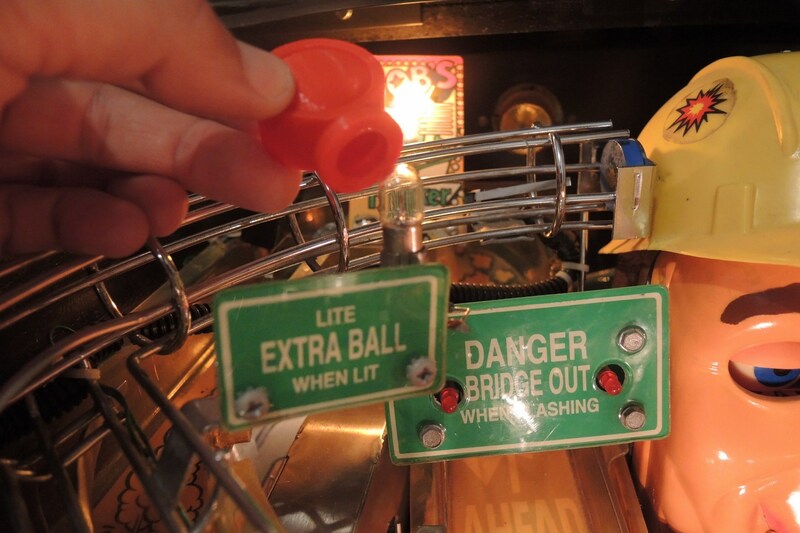 Very easy to install, in seconds… 100% reversible, no modifications. 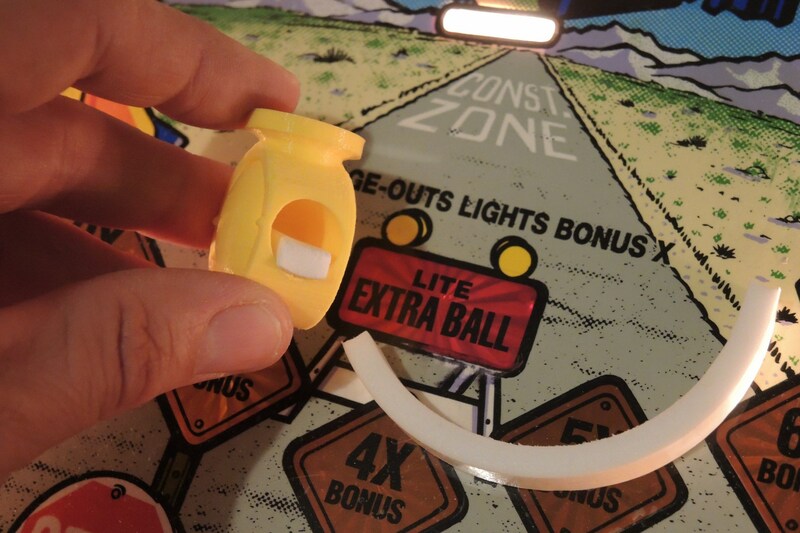 You can put the bulb with the rubber hood or without the rubber hood. The signal includes a small piece of adhesive foam to hold the signal to the light bulb.